Waking up on this steamy morning the last thing I want to do is cover my skin with makeup. Thank goodness for my summertime makeup essentials! Follow me on Twitter and Instagram for more quick pics like this one. 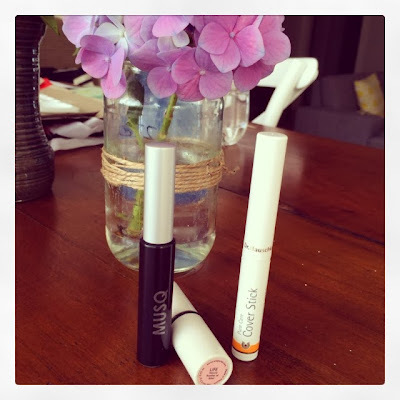 My absolute favourite mascara by Musq, Ere Perez rosehip oil lipbar in 'Life', and a little magical cover-up (and blemish zapper) by Dr. Hauschka.